This layout should produce lap times just under 2:30 for the fast guys. It was build in a week and tested four times with either races, ride days or factory teams. Plus, the majority of the layout, save for the three revised corners on the right side of the map, were used for the REM Octobercross. 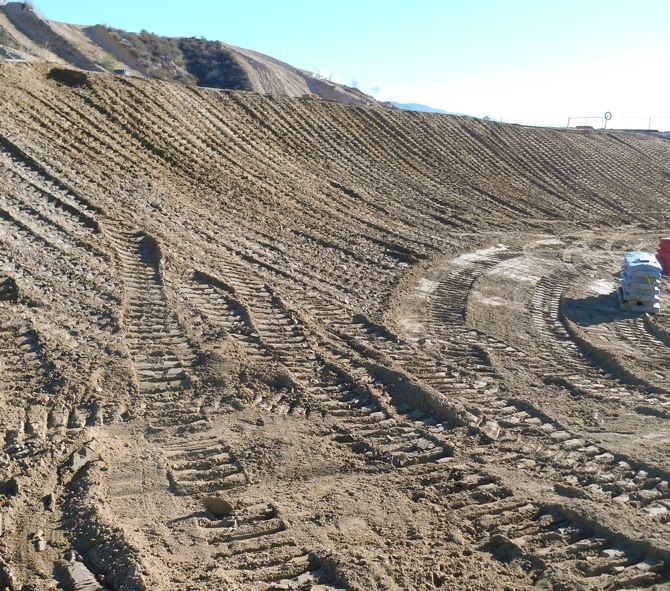 Glen Helen promised that the 2013 World Vet Championship would have a totally new track and it will. They also promised that before Friday's Vet-only practice that they would reveal a surprise track change that no one had ever ridden on before. Jody Weisel spent the last couple days putting the finishing touches on a very unique corner design...very unique. 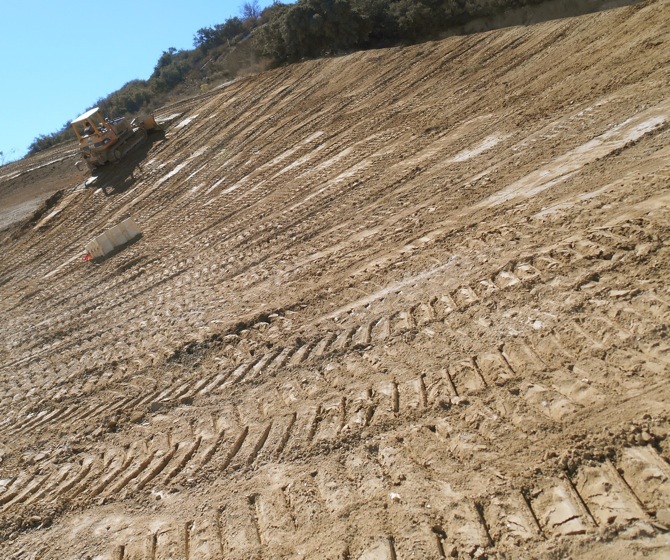 Here are some photos of the new track section—called "The Wall"—for obvious reasons. It goes where the final leap of the Triple Step-Up used to be and is a radically banked, virtually vertical, velodrome-style turn that plasters the riders into the face of the corner. The faster you go, the higher you can run. A mini version of "The Wall" was tested at the REM Octobercross last Saturday and it was deemed a success, so a full-size version was built this week. It will be used for the first time for Friday practice.. 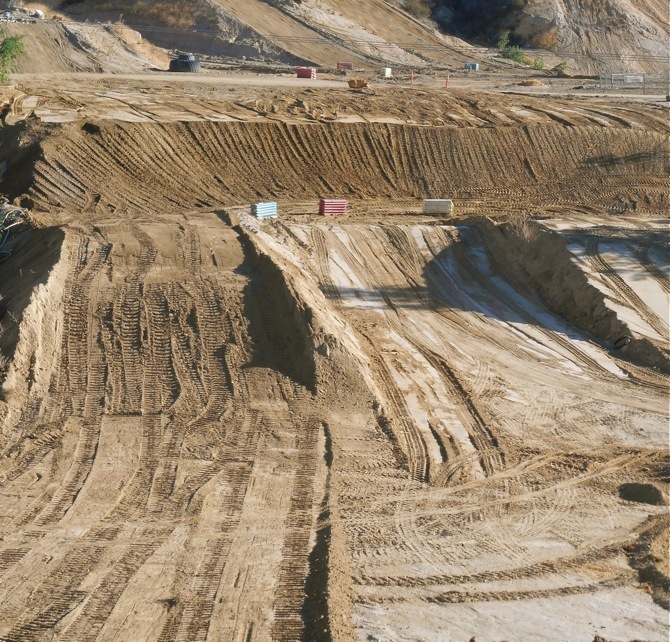 This is the view from the base of Yamaha Hill, it shows the tabletop jump that leads to "The Wall" and the steeply banked velodrome right-hand corner. 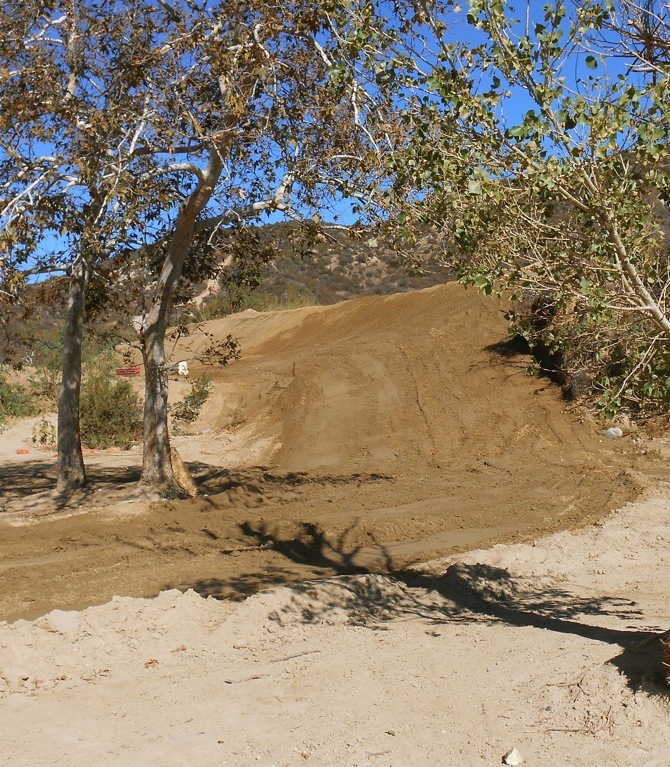 Thursday practice is open to all riders and run from 8:00 a.m. to 2:00 p.m. This corner looks like a blast. Friday practice, for pre-entered World Vet riders, runs from 8:00 a.m. until 12:00 noon. The exit of "The Wall" drops downhill between a couple trees. On Saturday practice is scheduled to start at 7:00 or when there is enough sunlight to see the track. Don't mistake "The Wall" for the Talladega first turn. Talladega is massively larger. Plus, Talladega is being made taller and wider to make sure that 40 riders will fit through the 45-degree first turn with no incidents. It has proven over the years to be the safest first turn in the sport. It is also the fastest. Gates open 7:00am-10:00pm - Overnight camping is FREE!